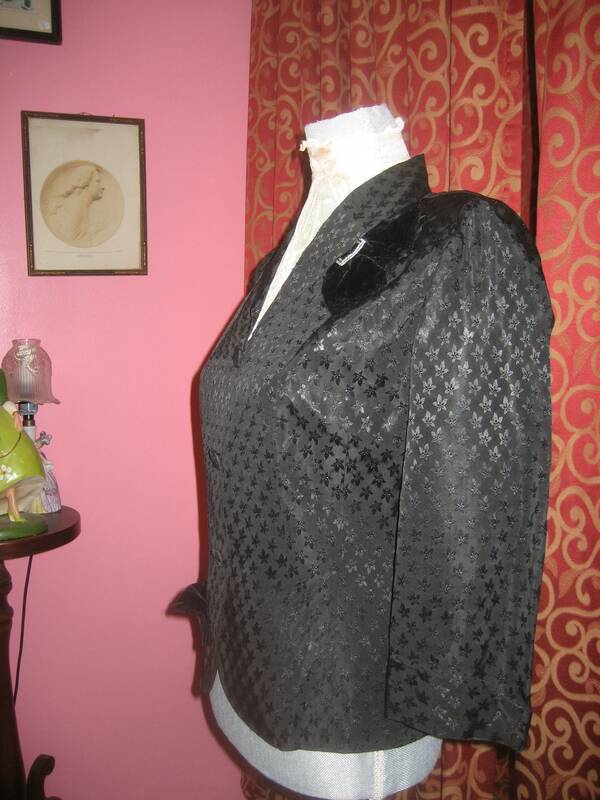 1950's, 36" bust, black embossed rayon Jacket with velvet ornamental half bow at right side of lapel with square rhinestone buckle. 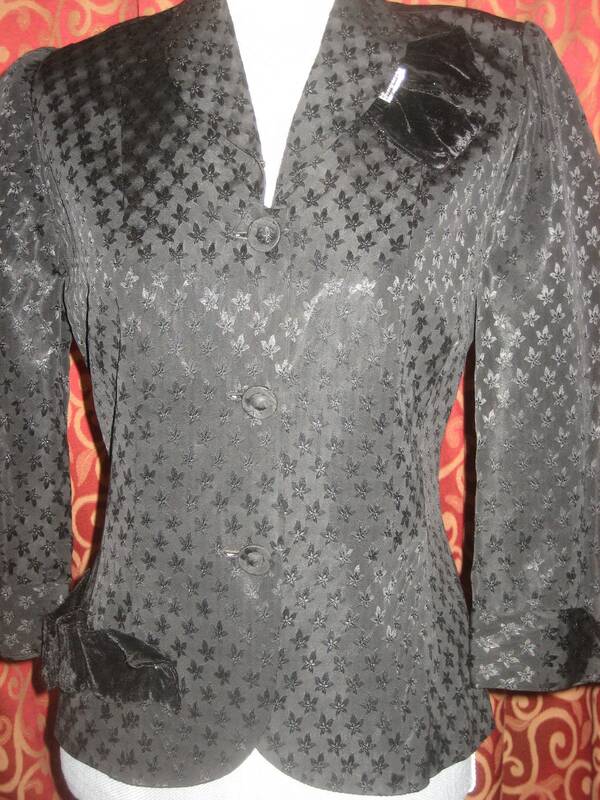 Another velvet orniment on left hip with two rhinestone stars. 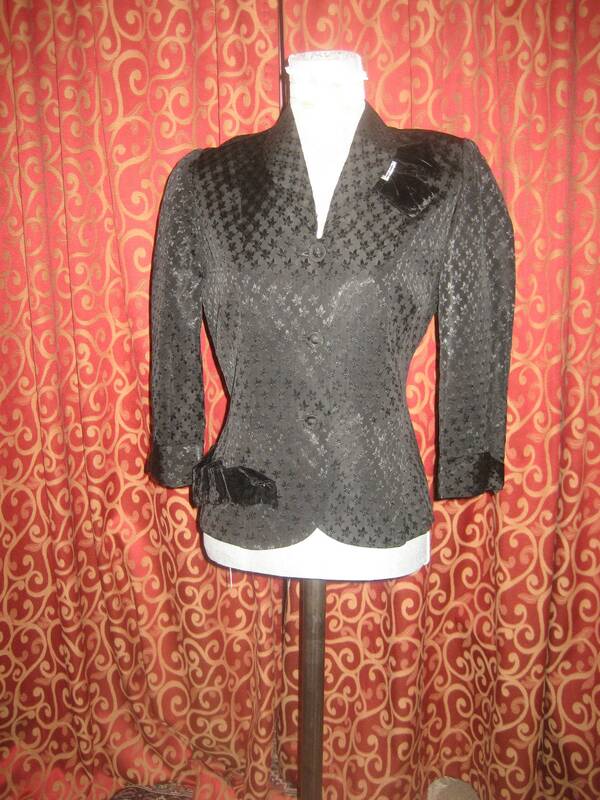 Jacket is fastened with three self same material buttons. 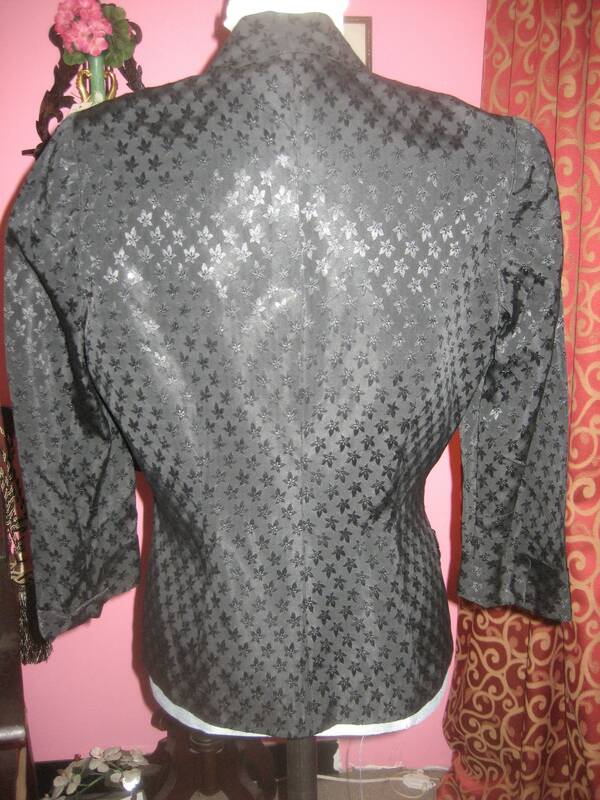 Jacket has nipped waist and falls below hips.